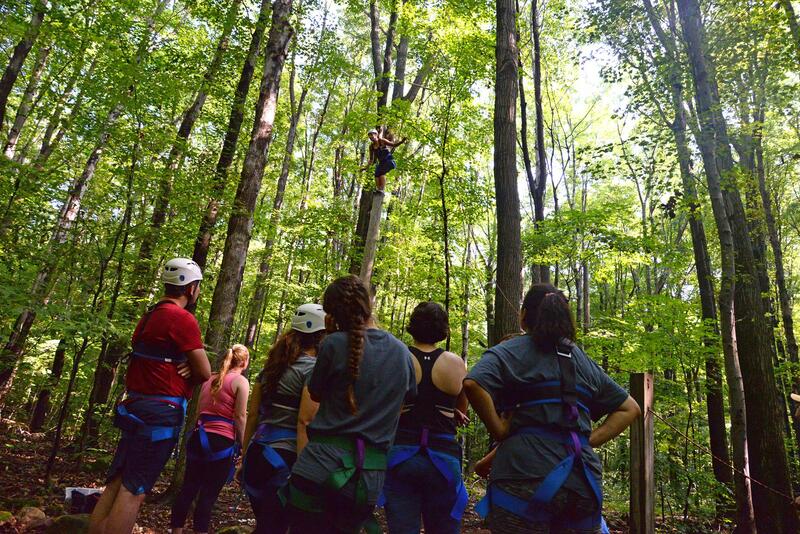 Camp Asbury offers leadership and team building events through group initiatives, low and high ropes courses, and the giant swing. Our trained staff will tailor your event to meet the needs and desires of your group, and lead you to success! 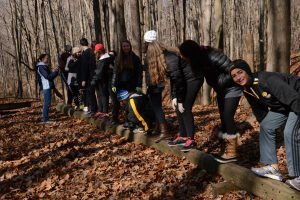 The challenge courses at Camp Asbury are designed to increase a group’s communication, problem solving, leadership, confidence, and more. 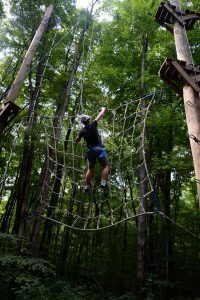 They provide a safe space for individuals and groups to take risks and push themselves to new limits. 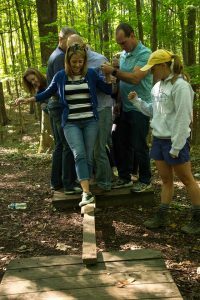 Book your next team building event with Camp Asbury! 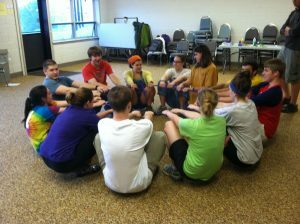 Group Initiatives are a series of activities and challenges that allow a group to work together and overcome obstacles. They increase communication, problem solving, decision making, team work, and much more! 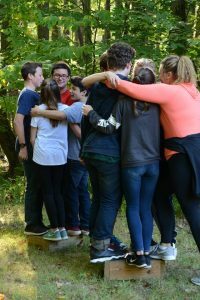 Whether you’re a new group meeting each other for the first time, or have been together for many years, group initiatives will help you to come together and successfully achieve your goals. 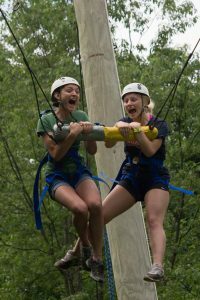 Camp Asbury Staff will tailor the program to fit your needs. Group Initiatives can be set up both indoors and outdoors, making them a perfect event year round. 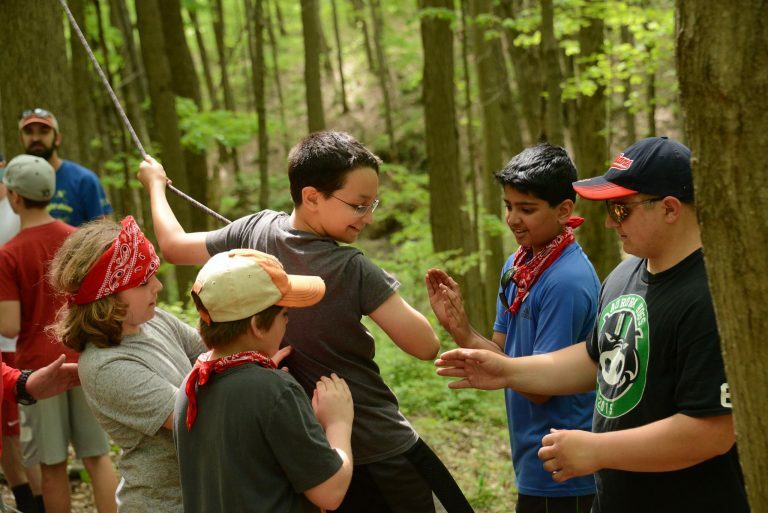 Camp Asbury’s Low Ropes Course features 13 different elements, designed to grow your group’s communication, problem solving, and team work skills. 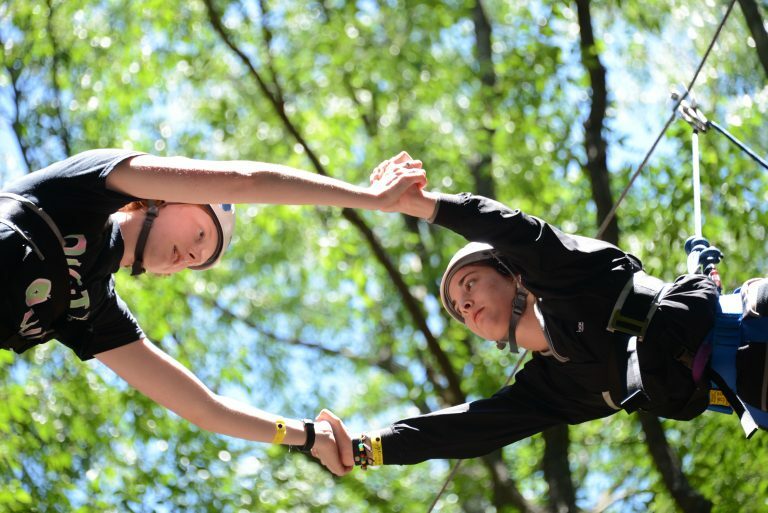 Learn to traverse on cables, walk across wooden beams, and trust fall into the arms of your teammates. Camp Asbury staff will tailor the program to fit your needs. 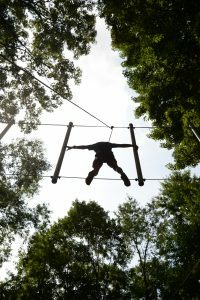 Low ropes provide the perfect opportunity to begin to step out of your comfort zone, with the support and guidance of your group behind you. 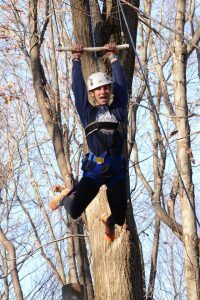 Reach new heights with Camp Asbury’s 16 element high ropes course! 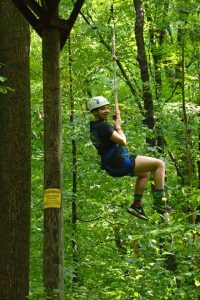 Complete with a 30 foot climbing and rappel tower, power pole, dangle duo, zip line, and more! Trained Asbury staff will customize the experience to fit your group. 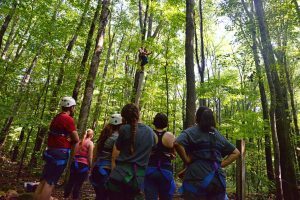 Camp Asbury’s professionally designed course allows each and every participant to play a role, even if you’re not in the air! 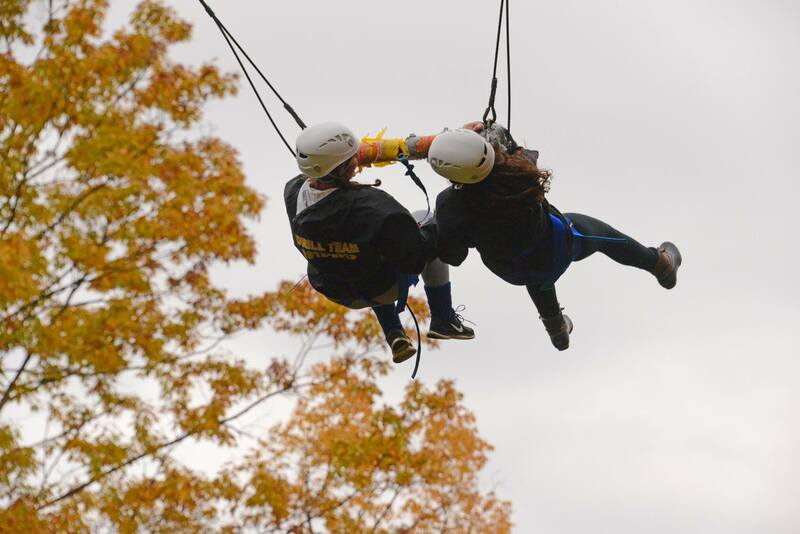 Enjoy the ride of a lifetime with Camp Asbury’s two person Giant Swing! 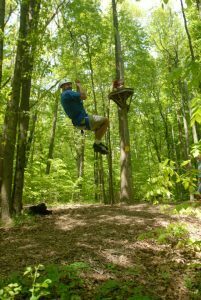 Directed by trained Asbury staff, you and your partner get pulled to the top of the 40 foot pole, then release yourselves and swing! 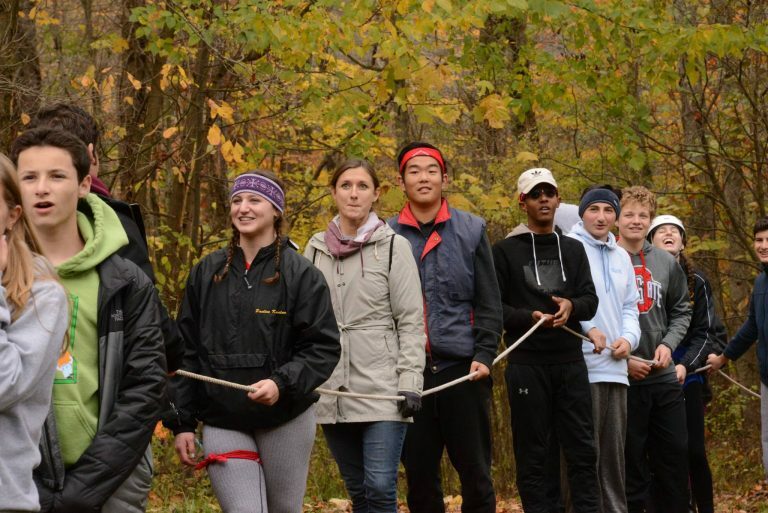 Work together with your whole group to pull each pair as high as they want to go! Encompassing communication, team work, and trust, the giant swing provides your group with a new experience they will never forget! Check our “2018 Rates” tab for pricing information.